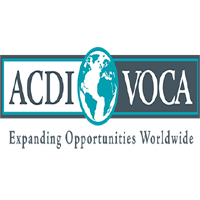 ACDI/VOCA, an International NGO with Headquarters based in Washington, D.C., is currently advertising for the position outlined below for the Feed the Future Tanzania Nafaka Activity. Job Summary: The Director of Trade Finance is a senior position in the management of the NAFAKA Value Chain Project aimed to facilitate increase on the competitiveness of rice and maize trading, in project areas of Kilombero, Mvomero, Mbeya, Iringa and Zanzibar. The complexity of the position is to link small-scale agricultural producers into formal value chains by facilitating some business activities. •	Provide management and leadership in developing rice and maize value chains ensuring that project interventions are targeted and responsive to market and trade requirements. •	Provide leadership in conducting targeted research on new potential markets and in developing and implementing strategies for structured trading. •	Inform management on sound strategies for identifying technical and potential buyers and investors, product trends, marketing strategy, including mapping of potential buyers and processors. •	Strengthen upstream downstream value chains actors from domestic /regions international market perspectives. •	Identify business development capacity building needs for the value chain actors and linkage with the NAFAKA Volunteer Programme. •	Identify and collaborate with regional and international policy organizations such as the Rice Council Tanzania and the East African Grain council to identify marketing opportunities and!or business development service (BDS) providers that would assist NAFAKA supported millers, processors, farmer associations and input suppliers to expand their services to their client base. •	Oversee development of training platform including providing guide on training materials on various aspects of rice and maize value chains development - specifically regarding compliance regulations with appropriate Government of Tanzania regulation authorities. •	Create and implement strategies to develop domestic, regional and international market linkages and structured trading systems. •	Collaborate with partners, local value chain actors (individual farmers, traders, services providers, buyers) create new and diversified markets. •	Assist input supply team to identify marketing opportunities in input supply, aggregation, bulking and processing for rice and maize. •	Organize and coordinate business to business (B2B) meetings to facilitate linkage among producer organizations, apex organizations, wholesale buyers, processors for increased domestic/ regional and international trade and competitive of rice and maize commodities. •	Liaise with technical team to facilitate negotiations and contract enforcement for rice and maize procurement with public and private buyers . •	Enhance collaboration and linkage of financial institutions through business to business (B2B) meetings to engage producer organizations, apex organizations, wholesale buyers, processors with financial institutions and information technology providers on prices, volumes, and facilitate market transactions for farmer organizations and value chain actors. •	Perform a managerial role to support the team in facilitating engagement of value chain actors in discussion with financial institutions to make simplified agreements to be used as loan securities. •	Bachelor's Degree in Agribusiness, Business Management, Economics, Finance and/or Marketing are required Master's Degree preferred. •	A minimum of 8-10 years of experience in implementing and managing projects with at least 2 year spent on field based market research activities, preferably in the agricultural sector. •	Experience in business strategy development with focus on agricultural value chain analysis. •	Previous experience in analyzing project contents and management of project information through data analysis tools and use of Microsoft office package. •	Knowledge of the institutions and organizations and/or businesses that provide value chain support services to the agricultural sector in Tanzania. •	Previous responsibilities managing a team of five or more people preferred. •	Direct experience in marketing, agricultural marketing and relationship management with private sector financial institutions, agricultural business and insurance companies. .
•	Demonstrated attention to detail, ability to follow procedures, meet deadlines and work independently and cooperatively with team members. .
•	Awareness of and sensitivity to multi-cultural international development work. To apply for this position, qualified candidates should submit an application letter describing why he/she- is the best fit for this position, and a curriculum vitae detailing relevant work experience with three referees to hr@nafaka-tz.org.